A pond is a complex system, and like all complex systems, it is subject to Murphy’s Law, a law which states that “anything that can go wrong will.” When something bad happens to your pond, it can be difficult to determine the cause of the problem, but pre-planning is the best way to deal with emergencies before they occur. Below are 7 of the most common pond emergencies you’re likely to encounter at some point as a pond owner. Pond environments are highly interconnected ecosystems; this means that if even one fish becomes sick, the disease can quickly spread if it isn’t treated. This is an emergency which is virtually guaranteed to happen at some point, unless you have a pond that is free of fish. Even then, the water will become stagnant if it isn’t cleaned and treated. New fish should be sterilized before being added to the pond, and UV sterilizers are ideal for reducing the spread of sickness. When the nitrite and ammonia levels within a pond become elevated, the toxicity can harm the fish, frogs, or other animals within it. There are products available on the market that can help you keep nitrite and ammonia levels under control. Ponds require sophisticated equipment in order to function properly. At some point, this equipment will wear out, and when it does, the chances of failure will be high. Your pump may burn out or perhaps the plumbing connection will be broken. The best way to deal with this is to have backup parts on hand. Temperatures which are too high or low can be devastating to a pond. When constructing a pond in an area which receives cold winters, it should be deep enough to allow for hibernation, and in arid areas known for periodic droughts, you can use a quarantine tank to protect your fish. Floating bags of ice can be used on ponds during hot summer days, but cold water should never be added to the pond directly. This is a common problem in ponds which contain different species. Some fish will become highly aggressive in order to protect their eggs, so pond owners that intend to breed their fish should use a breeding tank which is separated from the rest of the pond. Isolating the breeding fish will prevent them from harming others. 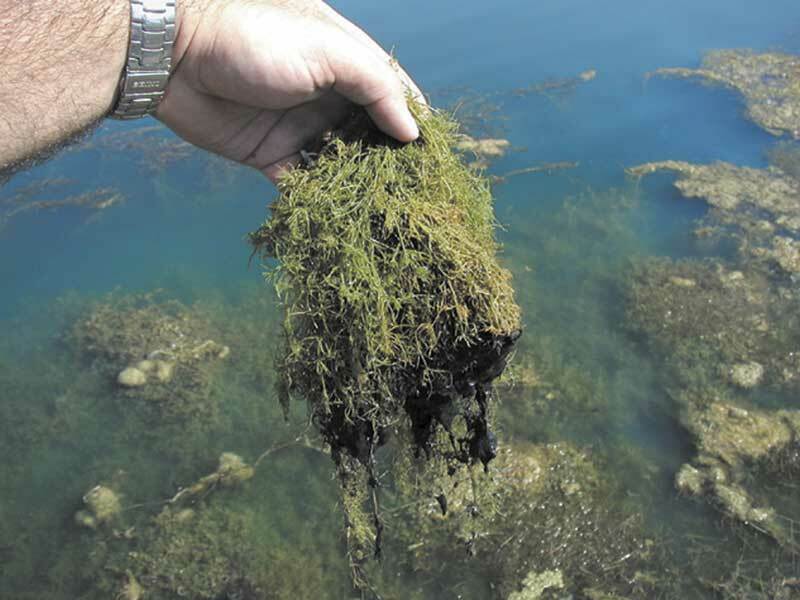 Clogged filters are especially dangerous to the pond because they can quickly cause the water quality to deteriorate. This problem is simple to prevent by cleaning out the filters periodically, but it can be easy to forget, especially for pond owners that are busy with other things. Clogged filters should be cleaned or replaced upon discovery. A well designed pond attracts animals besides the fish you added to them. While some of these animals are harmless such as butterflies, others such as birds or cats can prey on the fish that are present. A scarecrow which is sensitive to movement can be installed to keep these would-be predators at bay. If you encounter a pond emergency, Fitz’s Fish Ponds can help you. Just give us a call and whether it’s day or night, you will see our experienced team coming to your rescue!